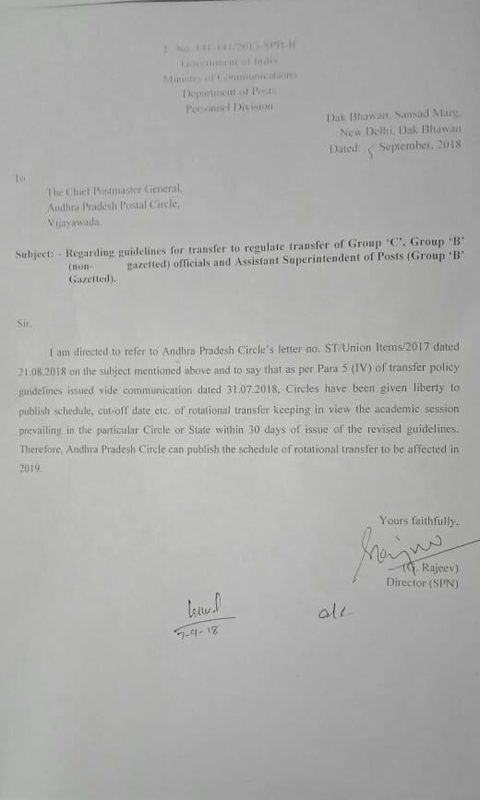 Guidelines for transfer to regulate transfer of Group 'C' , Group 'B' (non gazetted) officials and ASPs ( Group B Gazetted ) : Department of Posts. 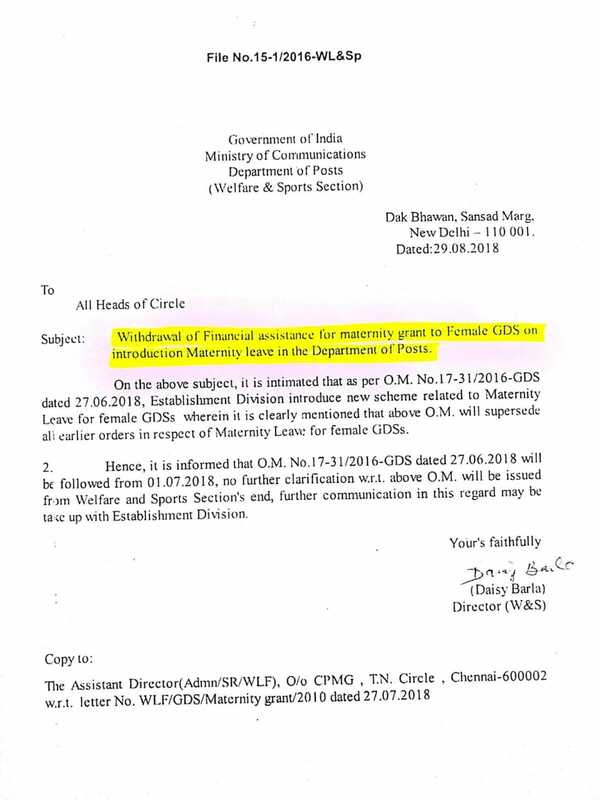 Clarification on Maternity Leave to Female GDS in Department of Posts. 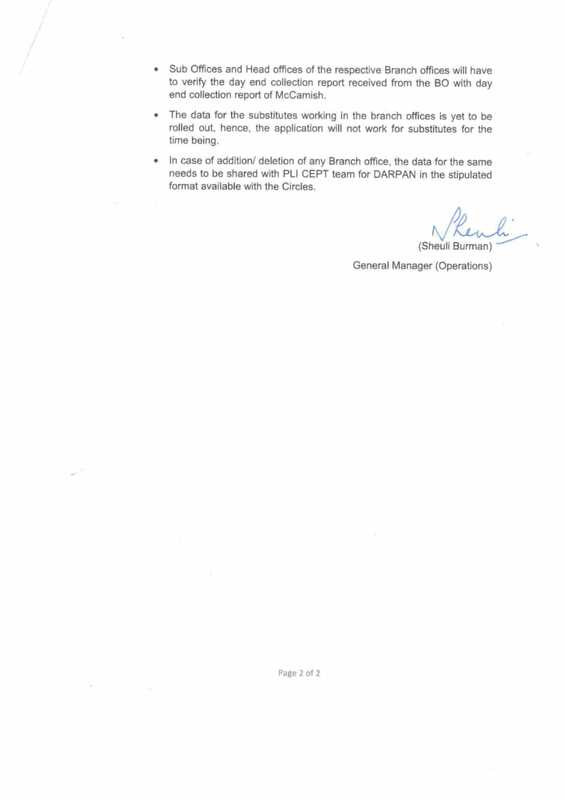 Secretary letter to all CPMGs. 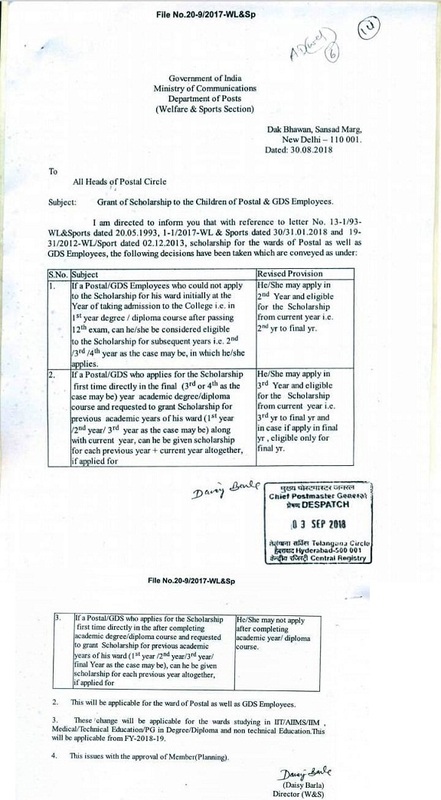 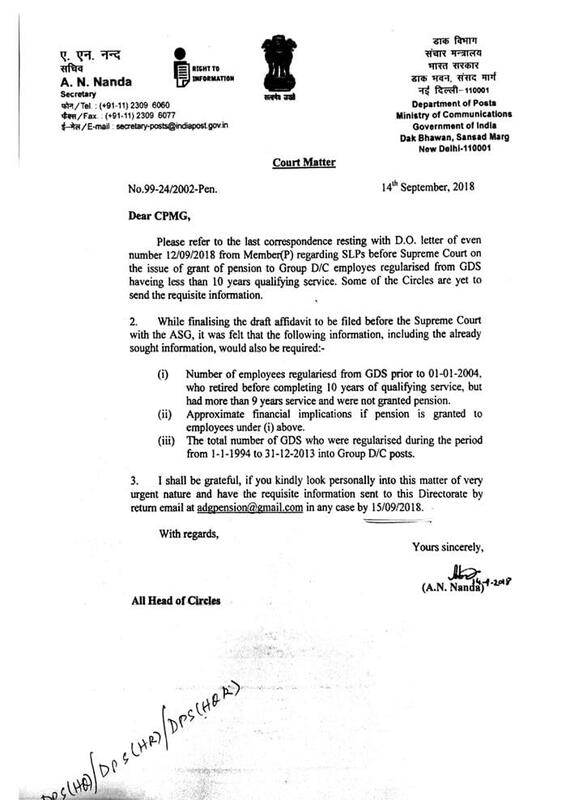 Directorate asked information from all Circles regarding grant of pension to Group D/C employees regularised from GDS having less than 10 years qualifying service : Secretary letter to all CPMGs. 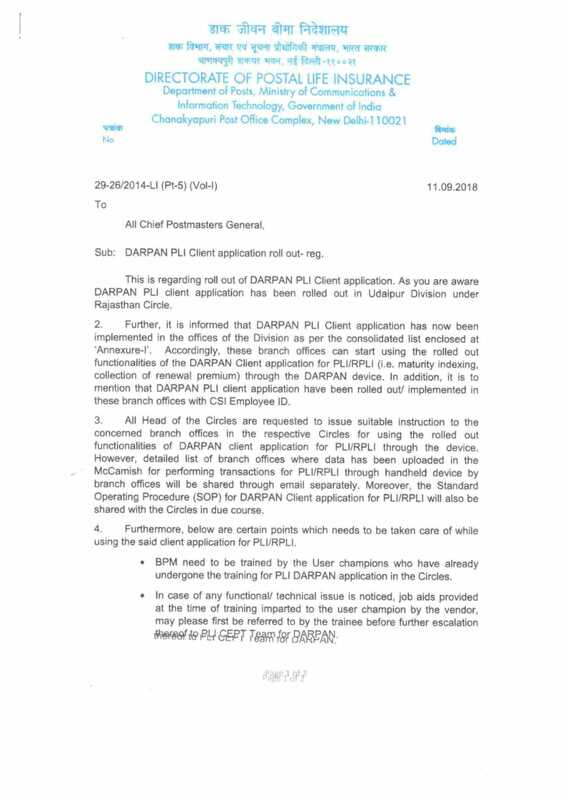 DARPAN PLI Client application roll out : PLI Directorate.